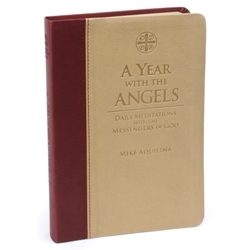 In A Year with the Angels, Patristics expert Mike Aquilina offers contemplations and prayers about the most mysterious of all created beings, the Angels, drawn from the deep well of the Church Fathers' wisdom about these powerful protectors, intercessors and messengers. 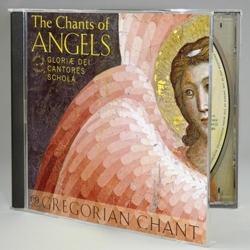 Angels embody virtues, graces, and knowledge of the Truth because they stand before the very Throne of God. Among their responsibilities are governing the universe and the movements of nature, defending creation from attack by the devils, and acting as messengers of God to mankind. 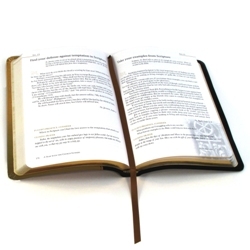 Beautiful gift edition has two-tone ultra soft cover, ribbon marker, and designed interior pages. 368 pages, 5-3/4" x 8-3/8".